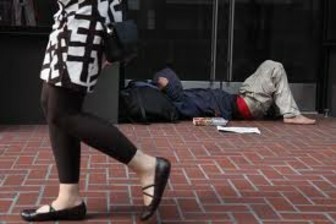 The Street Outreach Program (SOP) makes grants available to nonprofit agencies for the purpose of providing street-based services to runaway, homeless and street youth who have been subjected to, or are at risk of being subjected to, sexual abuse, prostitution, or sexual exploitation. In fiscal year 2007, 136 projects provided services for street-based education and outreach, emergency shelter, survival aid, individual assessment, treatment and counseling prevention and education activities, information and referral, crisis intervention, and follow-up support. It is anticipated that 156 grants will be awarded in fiscal years 2008 and 2009. Office - Contact: Administration for Children and Family, Family and Youth Services Bureau, Division of Youth Services. In fiscal year 2007, 136 grants were awarded. It is anticipated that 156 grants will be awarded in fiscal years 2008 and 2009. Provide education and prevention services, directly or through collaboration with other agencies, to runaway, homeless and street youth that have been subjected to or are at risk of sexual exploitation or abuse. The goal and design of these efforts is to help young people leave the streets to build postive relationships. Any private, nonprofit agency is eligible to apply. Nonfederally recognized Indian Tribes and urban Indian organizations are eligible to apply for grants as private, nonprofit agencies: (Note: Public agencies are not eligible). Runaway and homeless street youth will benefit. Nonprofit organizations must submit proof of nonprofit status. Applicable costs and administrative procedures will be determined in accordance with 45 CFR 74 and 92. Consultation or assistance is available from the Family and Youth Services (FYSB), Administration for Children and Families, Department of Health and Human Services. All applications are reviewed by a panel of nonfederal experts that assigns scores according to the published criteria. The panel's scores are factored into the recommendations for funding. Scores and recommendations are reviewed by the Associate Commissioner of the Family and Youth Services Bureau. Recommendations are made to the ACYF Commissioner, who makes the final funding decisions. Application deadlines can be obtained via the Internet at the following website address: http://www.acf.hhs.gov/grants/grants_fysb.html. Violent Crime Control and Law Enforcement Act of 1994, Section 40155, Part A, Public Law 103-322; Runaway, Homeless, and Missing Children Protection Act of 2003, Public Law 108-96 under Part E. Runaway and Homeless Youth Act, 42,USC Sections 5701 through 5752. Awards are generally made for 3-year project periods; funding for the second and third year is dependent upon satisfactory performance and availability of funds. Grantee must provide a nonfederal share or match of at least 10 percent of the Federal funds awarded. The nonfederal share may be met by cash or in-kind contributions, although applicants are encouraged to meet their match requirements through cash contributions. Grants will be awarded for a period of 36 months. (Grants) FY 07 $15,024,000; FY 08 $17,221,000; and FY 09 est $17,221,000. (Contracts) FY 07 $1,118,000; FY 08 $1,582,000; and FY 09 est $1,572,000. $100,000 to $200,000 per budget period; $100,000. Contact Headquarters Office listed below for available literature. You may also get information on the Family and Youth Services website at the following address http://www.acf.hhs.gov/programs/fysb under the &quot;Policy and Legislative Documents&quot; link. Information is also available through the National Clearinghouse on Families and Youth, 5515 Security Lane Suite 800 North Bethesda, MD 20852. Telephone: (301) 608-8098. Fax: (301) 608- 8721. The National Clearinghouse on Families and Youth website address is http://www.http://ncfy.acf.hhs.gov and general email address is info@ncfy.com. Acting Associate Commissioner, Family and Youth Services Bureau, Administration for Children and Families, 1250 Maryland Avenue, S.W., Washington, DC 20447. Contact: Curtis Porter; Telephone: (202) 205-8306. Use the same number for FTS. Applications will be evaluated based upon the criteria published in the Funding Opportunity Announcement located on the following website address: http://www.acf.hhs.gov/grants/grants_fysb.html. Organizations with experience in providing services to homeless youth are given priority.